By basing his plays on the perennial dilemmas and follies of man, Plautus created timeless comedies that retain their ability to amuse and entertain. 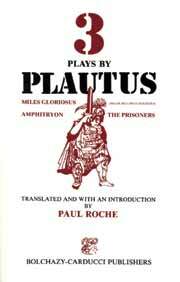 In this volume, Roche's translations of Amphitryon, Miles Gloriosus, and The Prisoners clearly illustrate how Plautus' writing has withstood the test of time. Includes a stimulating analysis of Plautus' approach to comedy and background on the social and political customs of his times.